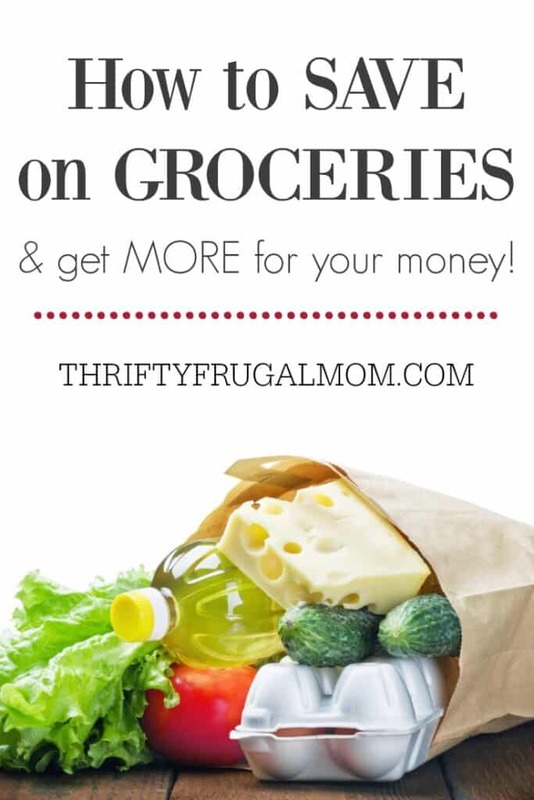 Trying to plan some frugal meals for your family? 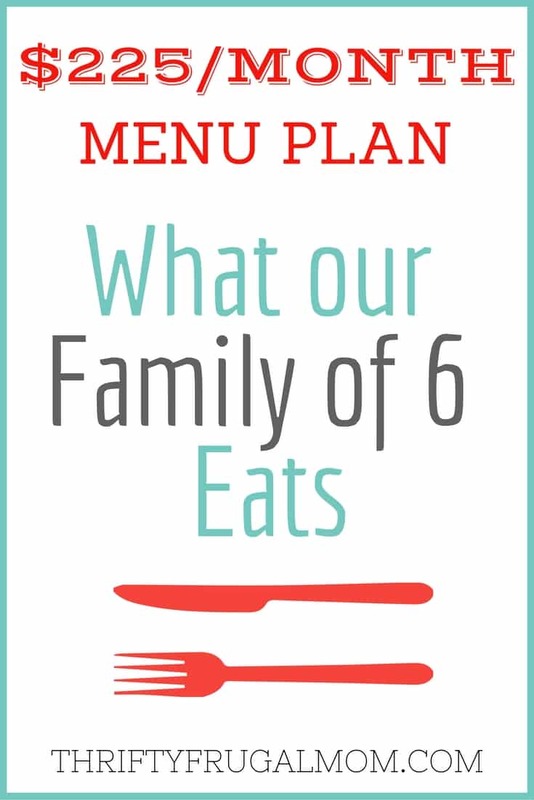 This is the menu plan that our family of 6 uses! It’s perfect for cheap meal ideas. If you’ve never noticed it before in my menu plans, it’s pretty obvious in this one that we eat a lot of seasonal fruits. One of the ways that I save money is by buying whatever fruits and veggies are on sale and then using them as my produce for the week. We just came through cherry season and right now fresh peaches are easily available, so as you’ll see, we’ve been enjoying a lot of both! Then to help save more money on groceries and also to make things easier when I can’t find cheap fresh fruit, I buy lots of fruits and veggies in bulk from local farmers/orchards in the summer and then freeze or can them. (I like to freeze green beans and blueberries and can peaches, tomatoes and applesauce each year.) This is not only much cheaper it is also healthier too. But that is why if you look at my Weekly Spending Summaries you won’t always see lots of produce. Between canning and freezing in season produce and watching the sales for good deals, I’m usually able to get us a decent amount of fruits and veggies for fairly good prices, which of course helps our grocery budget a lot! 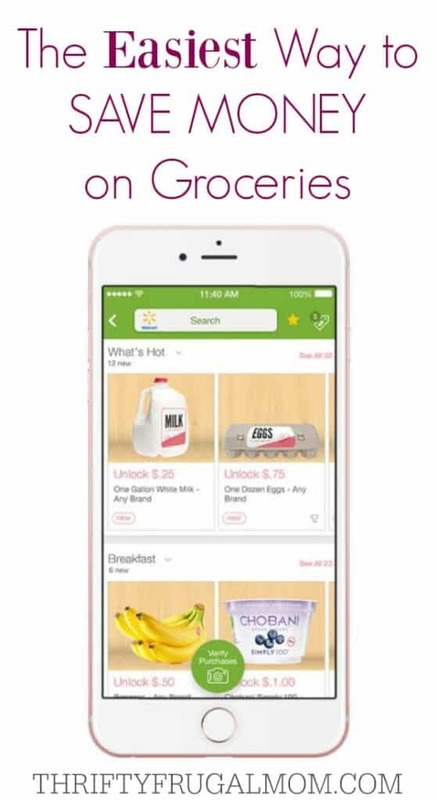 Now…on to the menu plan! Our family of six consists of two adults with fairly big appetites, an 9 year-old boy, a 5 ½ year-old girl, a 3 ½ year-old girl and a 1 year-old boy. Our breakfasts consist of Homemade Granola or Baked Oatmeal, the occasional bought cereal that I was able to get for $0.50/box and sometimes some fruit too. I know that might seem awfully boring to some of you, but we actually all really enjoy it and prefer it over other breakfast food. I also have a homemade iced coffee, homemade frappe or some other fun beverage every morning. It’s just one of the little things that I do to add a bit sunshine to my days! – We had a carry in lunch at our church and this is what I took. – We decided last minute to go on a picnic and so I just grabbed things that made it easy to do that! The Cabbage Salad was really the only thing that I had to make and since it’s super easy, it was a cinch. – I used this chili recipe as a base, but changed cut back the seasoning a bit and also reduced the amount of meat and upped the amount of beans. I feel like I should warn you, it’s a pretty spicy chili- even with the seasoning cut back. So if you try it, if you aren’t into really spicy, you for sure will want the sour cream to go with it! – I normally would serve a salad with this type of meal, but we were out of lettuce and since I had peas in the freezer, that’s what we had! – We had guests that joined us for the day and both meals. Thanks for sharing this with us. I totally agree that you can make a lot of saving in the kitchen when you plan accordingly and cook many things from scratch. What I like to do is cooking meals on a Sunday in preparation for the week. There are many recipes that are perfect for reheating. I also make my own school lunch box snacks. Not only are they much cheaper than the stuff you find in the grocery aisle, I also have much more control over fat, sugar and proteins. Perfect article, looking forward to reading more! That's a great idea, Karen, and would definitely be a huge time and money saver! I always feel successful when I double a recipe to have extra later in the week, but I've never done it on a bigger scale like you talk about. And the homemade lunch box snacks is so smart!